Steve On Broadway (SOB): London: Sister, Act III? 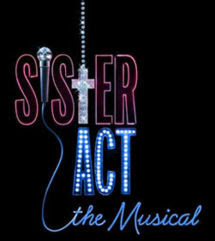 Longtime readers may recall that when the Left Coast's Pasadena Playhouse presented the world premiere of Sister Act - The Musical, I provided a critics' capsule on the mixed reviews it received. But given that the Los Angeles Times' Charles McNulty declared back then that the production "has Broadway blockbuster written all over it," it should come as no surprise that there would be yet another act in its development beyond the home of the Rose Bowl and its subsequent stop at Atlanta's Alliance Theatre. Now, I've heard it on very good authority that this Sister is most definitely getting its act together. The good Sister has been "confirmed" for a London opening sometime this fall. I've also learned that 24 year old "powerhouse" singer/actress Pàtina Miller (best known as Pam Henderson on daytime soap "All My Children") will assume the bad habits of Dolores/Sister Mary Clarence created on celluloid by Whoopi Goldberg. UPDATE (11.13.08, 5:30 p.m. EST): You can say you read the news about Sister Act going to London here first, but the timing was just a tad off. Now it's been announced that Whoopi Goldberg and Stage Entertainment are set to produce the show in London at the West End's Palladium Theatre. The opening (or first night) is currently scheduled for June 2, 2009; previews start on May 6. She had a close call with stardom in 2005 when she was one of three finalists for the role of Effie White in the movie version of Dreamgirls, a job that later won Jennifer Hudson an Academy award. Saw it last night. Has 'hit' written all over it. Sondheim And Webber: Separated At Birth? Glory Days Yet To Come This Broadway Season?